PY stole one from Yulon. It's official. 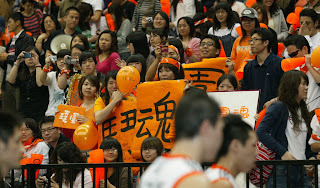 The 2008 SBL Finals will be a long-awaited matchup everyone has been expecting for the entire season. Taiwan Beer, which swept No. 2 seed dmedia Numen 3-0 in the first round, will meet Yulon Dinos in the Finals. 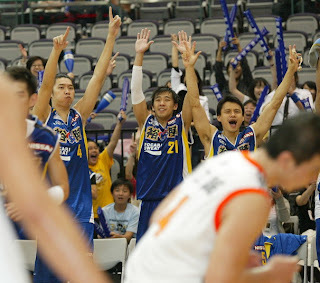 Yulon beat Pure Youth 3-1 in the first round and will try to win its fourth SBL title in six season. Taiwan Beer's sweep has been somewhat of a surprise, given the fact it has always struggled against dmedia during five games of the regular season. However, the Beermen proved that the postseason was another story. With TB trailing by two with less than two minutes to go in the elimination game, Wu Tai-hao made a turn-around jumper to put TB back on top, 76-75. 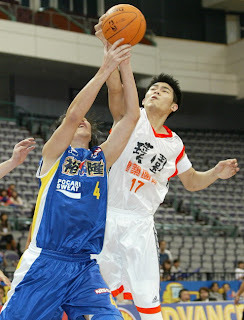 The 6-8 center then grabbed a crucial defensive rebound and followed with an outlet pass that led to a three-point play by forward Wang Chien-wei to secure the victory. 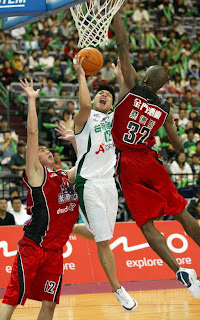 Wu and Lin Chih-chieh have been the key men in the three-game series. It's something TB head coach Yen Chia-hua and TB fans would love to see and it will be one of the most factors in the Finals. In the other matchup, Pure Youth upset Yulon in Game 3 with a two-point victory. 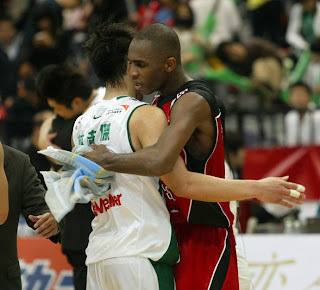 Yulon wasted little time to regroup and wrapped up the series the next night with a 98-78 win.